What Does A Boston Study Say About Victims Experiences In A Killing? Trying to figure out common experiences or thought patterns for those who end up in prison is a common approach to completing research. It turns out that a lot of people accused of crimes and behind bars have similar experiences in childhood, some of which are very traumatic. Going through the trauma of watching someone be killed may be a common trauma event that many people in prison have lived through and reflect back on. The researchers associated with the Boston Reentry Study asked more than a hundred men and women as they made the transition from prison back to their families and neighborhoods whether or not they saw someone get killed during childhood. In many of the conversations recorded in these interviews, child violence, and in particular, deadly violence continued to come up in the conversations. Standard survey questions often miss out on these deep and difficult questions that may have increasing commonality among those people who have been accused of a crime and spent time in prison. The goal of the survey was to give better introspection into the life trajectories that occurred prior to prisons as well as the limitations of the current criminal justice system. More than 40% of participants in the survey program indicated that they had seen deadly violence during their childhood, a number that was much higher than what investigators anticipated. The people in the study acted in various roles over the course of their life, including victim, offender, witness to violence, and sometimes even played numerous roles at the same time. 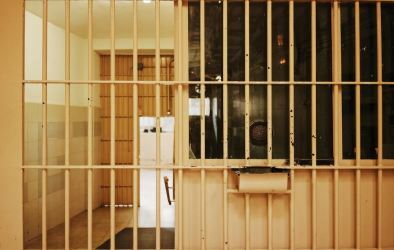 The researchers reported that the reality of the experiences for these people accused of and serving time for their crimes is one that is much messier than the criminal justice system typically is able to capture. People who are accused of a crime must be prepared to take actions to protect themselves in the criminal justice system such as retaining an experienced criminal defense attorney.